Jack & Jones Man Jacket "EDESERT"
Jack & Jones Man Jacket "OCEAN GROUD"
Schott - n.y.c Man Jacket "ΚΕΝ"
Jack & Jones Man Jacket "ROCKY"
Jack & Jones Man Jacket "BENDT"
Jack & Jones Man Jacket "DAMON"
Jack & Jones Man Jacket "LITE SHORT PUFFER"
Schott - n.y.c Man Jacket "ROBSON1"
Superdry Man Jacket "CHINOOK JACKE"
Jacket by Sogo (19004067) in blue color with lace on the waist, sleeves and collar. Made in regular fit with zipper fastening. Thin puffer jacket by Splendid (41201009) in grey color. Made in slim fit with zipper fastening. Thin puffer jacket by Splendid (41201009) in navy color. Made in slim fit with zipper fastening. 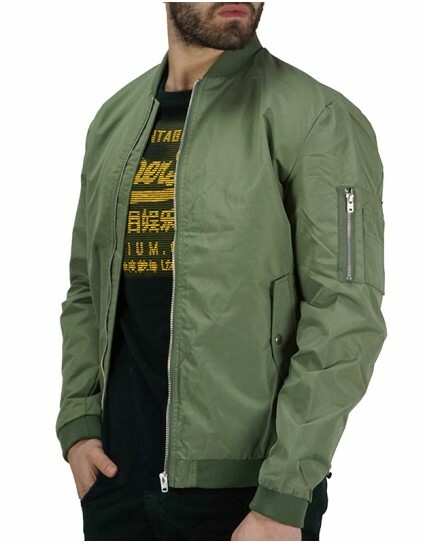 Bomber jacket named “EDESERT” by Jack & Jones (12147376) in olive green color with front pockets that close with button, lace on the sleeves and waist. Made in slim fit with zipper fastening. 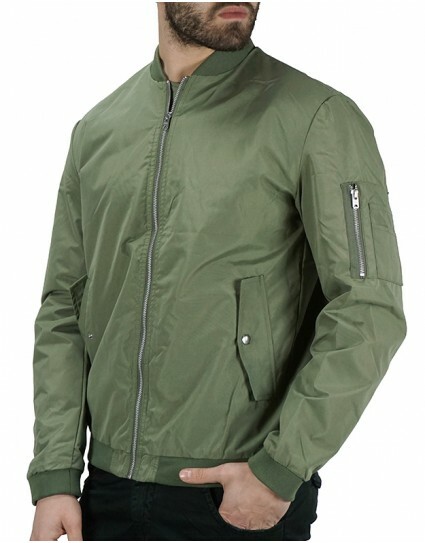 Bomber jacket named “EDESERT” by Jack & Jones (12147376) in black color with front pockets that close with button, lace on the sleeves and waist. Made in slim fit with zipper fastening. 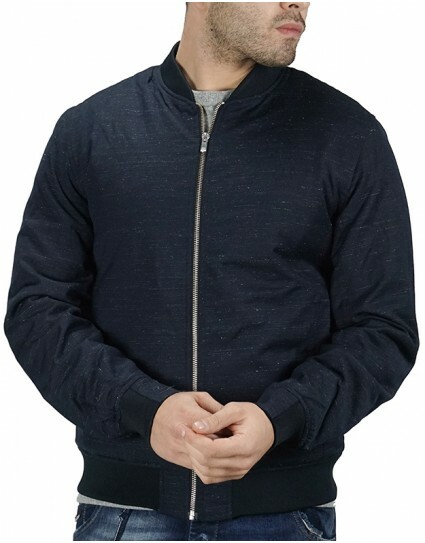 Bomber jacket named “EDESERT” by Jack & Jones (12147376) in navy color with front pockets that close with button, lace on the sleeves and waist. Made in slim fit with zipper fastening. 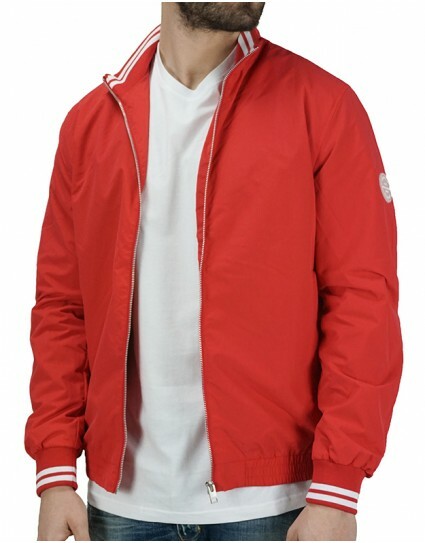 Jacket named “OCEAN GROUD” by Jack & Jones (12146974) in red color with lace on the sleeves, waist and collar. Made in slim fit with zipper fastening. Jacket named “OCEAN GROUD” by Jack & Jones (12146974) in navy color with lace on the sleeves, waist and collar. Made in slim fit with zipper fastening. Thin jacket by Replay (Μ8968Β.000.83110) in yellow color with collar, small on the chest and back. It has side pockets, front pockets on the chest and has one inside pocket. Made in slim fit with zipper and fastening. 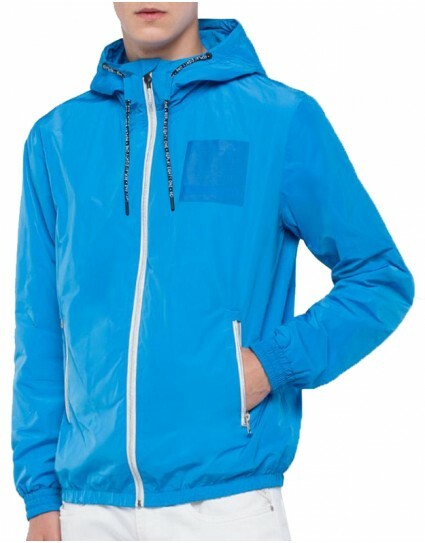 Thin jacket by Replay (Μ8966Β.000.83110) in navy color with hood, small on the chest and back. It's front pockets close with zipper and has one inside pocket. Made in slim fit with zipper and fastening. 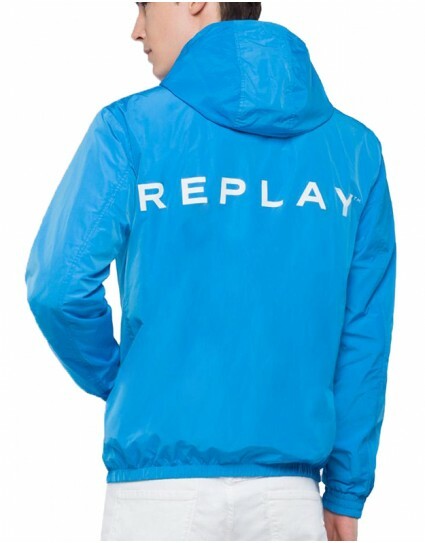 Thin jacket by Replay (Μ8966Β.000.83110) in light blue color with hood, small on the chest and back. It's front pockets close with zipper and has one inside pocket. Made in slim fit with zipper and fastening. Jacket named “ΚΕΝ” by Schott – n.y.c (ΚΕΝ) in navy color made of teflon fabric(repels water) with two inside pockets. Made in slim fit with zipper fastening. Thin suede jacket named “ROCKY” by Jack & Jones (12147218) in cognac color. Made in slim fit with zipper and fastening. 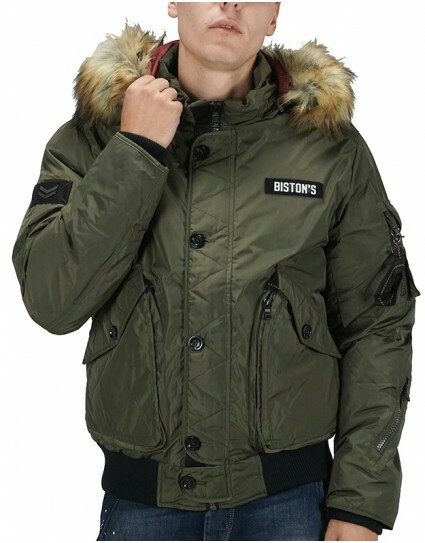 Puffer jacket named “BENDT” by Jack & Jones (12143936) in khaki color with non-removable hood. Made in slim fit with zipper fastening. Quotient jacket by North Star (901103) in navy color with leather detail. Made in slim fit with zipper fastening. 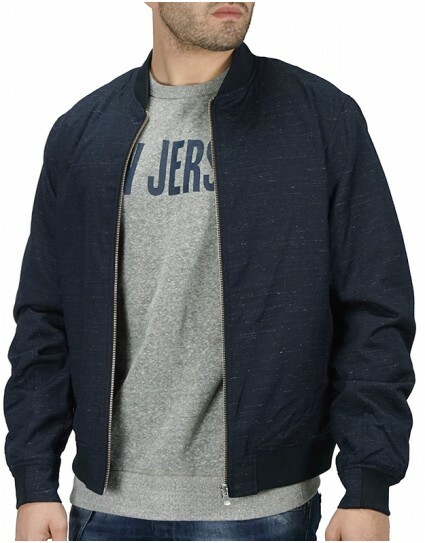 Thin bomber jacket named “DAMON” by Jack & Jones (12133183) in navy color. Made in slim fit with zipper fastening. Suede jacket by Sogo (18504096) in brown color with inside vest that can be removed via zipper. Made in slim fit with zipper fastening. Quilted jacket by Double (MJK-114Α) in navy color. 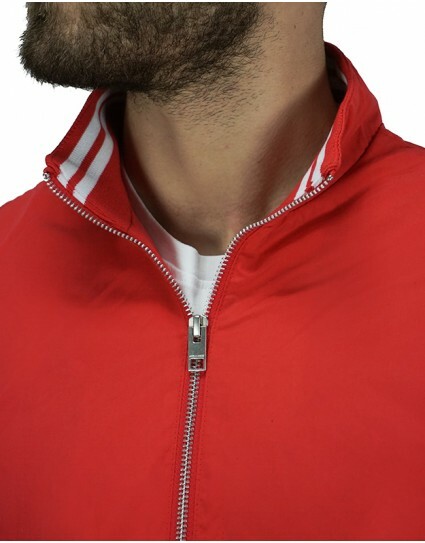 Made in regular fit with zipper fastening. Jacket by Double (MJK-115Α) in navy color. Made in regular fit with zipper fastening. Quilted jacket by Double (MJK-124Α) in black color. Made in slim fit with zipper fastening. Puffer jacket named “LITE SHORT PUFFER” by Jack & Jones (12139490) in khaki color with hood(can be removed via zipper). Made in slim fit with zipper fastening. Quotient knitted sweater/jacket named “ROBSON1” by Schott – n.y.c (ROBSON1) in navy color. Made in slim fit and it closes with zipper. Jacket by Splendid (38201088) in khaki color with hood(can be removed), fur(can be removed) on the edge of the hood and lace on the sleeves and waist. Made in slim fit with zipper fastening. Jacket by Splendid (38201088) in navy color with hood(can be removed), fur(can be removed) on the edge of the hood and lace on the sleeves and waist. Made in slim fit with zipper fastening. Jacket by Splendid (38201088) in black color with hood(can be removed), fur(can be removed) on the edge of the hood and lace on the sleeves and waist. Made in slim fit with zipper fastening. 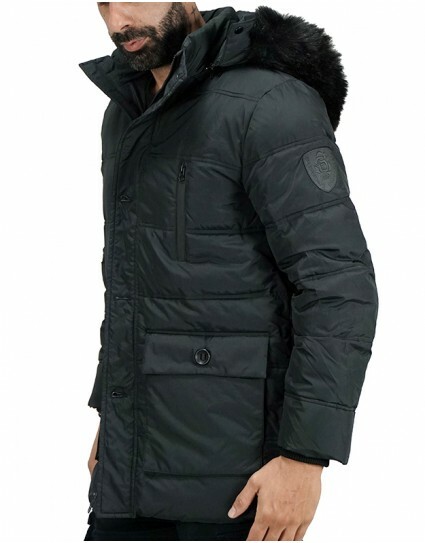 Long jacket by Splendid (40201046) in black color with hood(can be removed) and black fur(can be removed) on the edge of the hood. Made in slim fit with zipper and buttons fastening. Long jacket by Splendid (40201065) in black color with hood that can be removed via zipper. Made in slim fit with zipper fastening. 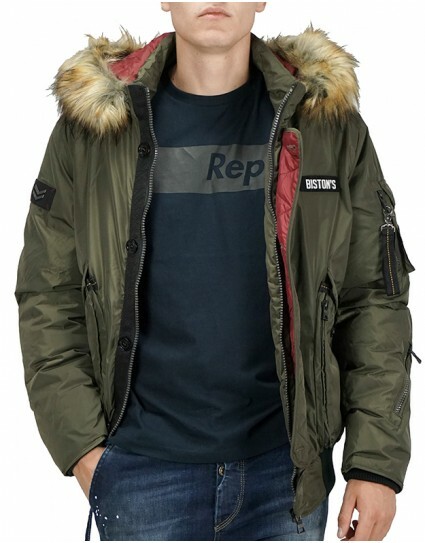 Puffer jacket named “CHINOOK JACKET” by Superdry (M50001DR) in black color with hood with fur on the edge(both the fur and the hood can be removed) and lace on the sleeves and waist. Made in slim fit with zipper fastening. Quotient knitted sweater/jacket named “ROBSON1” by Schott – n.y.c (ROBSON1) in black color. Made in slim fit and it closes with zipper. Quotient knitted sweater/jacket named “ROBSON1” by Schott – n.y.c (ROBSON1) in grey color. Made in slim fit and it closes with zipper. Jacket made of neopren fabric by Splendid (38201012) in black color with hood and lace on the sleeves and waist. Made in slim fit and it closes with zipper. Jacket by Splendid (38201108) in khaki color with removable hood and lace on the sleeves and waist. Made in slim fit and it closes with zipper.